br>Three Bed Detached Family Home (potential for four beds) Close to High St and within walking distance of Rayleigh Train Station. General Updating Required. 25ft x 12ft Through Lounge / Dining Room, two g/flr Beds with 21ft Master to the 1st Floor. Two Bathrooms. Multiple Parking. Three Bed Detached Family Home (potential for four beds) Close to High St and within walking distance of Rayleigh Train Station. General Updating Required. 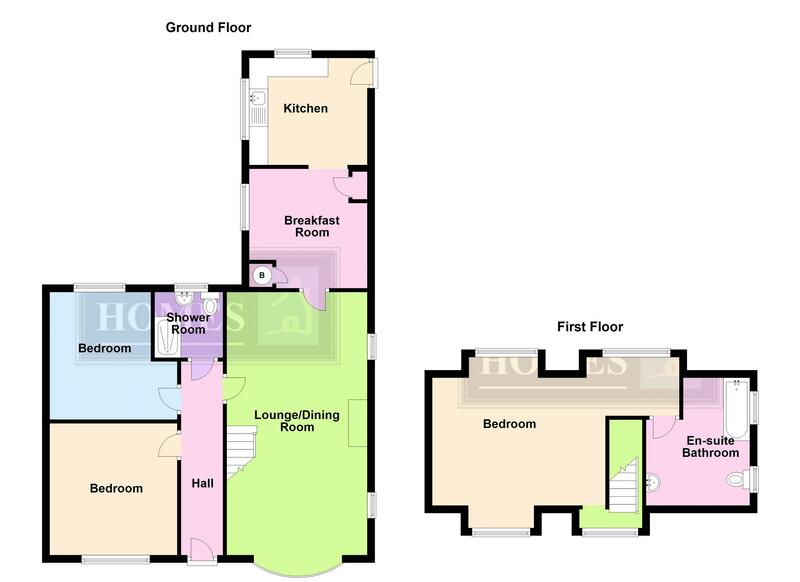 25ft x 12ft Through Lounge / Dining Room, two g/flr Beds with 21ft Master to the 1st Floor. Two Bathrooms. Multiple Parking. Open Keyhole Entrance Porch with lighting and security camera, tiled flooring. Security double glazed door and window to front, textured ceiling, papered walls, carpeted, ceiling light point, radiator. Double glazed bay window to front, feature diamond windows to side with stained glass and leaded inserts, wall and ceiling light points, textured ceiling, papered walls, feature brick-built fireplace with natural wood mantle and brick hearth, inset gas fire, radiators, carpeted, stairs lead to First Floor, part-glazed door to Breakfast Room. Open aspect to Kitchen and could be knocked through to create one large room if required, double glazed window to side, textured ceiling, part-papered walls, neutral coloured carpet, door to full height cupboard housing combination boiler, door to further full height cupboard with meters, radiator, ceiling light point, various power points, open arch to Kitchen. Triple aspect, double glazed windows to side and rear, door to other side, extensive garden and rooftop views, textured ceiling, smooth plastered walls, range of fitted units in light colours, space for several domestic appliances including: cooker, washing machine, dryer and upright fridge / freezer and further domestic appliances if required. Single drainer stainless steel sink unit with chrome mixer tap, tiled splashbacks in neutral colours, vinyl flooring. White double glazed window overlooking Rear Garden, textured ceiling, papered walls in neutral colours, carpeted, radiator, ceiling light point. White double glazed window with leaded inserts, textured ceiling, papered walls, ceiling light point, radiator, natural wood flooring. White double glazed window to rear, plastered ceiling, tiled walls in neutral coloured ceramics, wall-mounted wash hand basin with chrome taps, dual flush low-level wc, tiled shower cubicle with shower with flexible hose, radiator. Double glazed dormer window to front, pitched and plastered ceiling and walls in neutral colours, carpeted, opens to large bedroom and dressing area. Two dormer windows offering extensive rooftop and garden views to rear, pitched and plastered ceiling and walls in neutral colours, carpeted, radiator, two eaves storage cupboards. Double glazed window to rear, pitched and plastered ceiling and walls in neutral colours, carpeted. This room would be ideal to convert to a bedroom if required, two double glazed windows to side, pitched and plastered ceiling, plastered walls all painted in neutral colours, three piece suite comprises large panelled bath, low-level wc, pedestal wash hand basin, radiator, vinyl flooring, eaves storage cupboard. Commences paved stone patio area, then mostly laid to lawn, abundance of matured shrubs bushes and trees. Hardstanding with multiple parking then very large garden area, mostly laid to lawn with well established shrubs bushes and trees, wall to front.